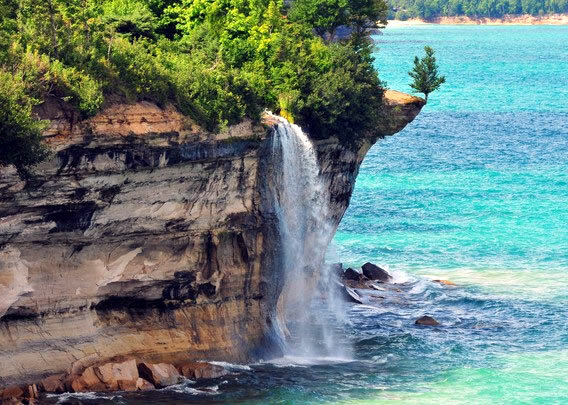 Located along the Pictured Rocks National Lakeshore, Spray Falls is a magnificent waterfall that drops about 70 feet vertically into Lake Superior. This falls is remote and best viewed from the water, however there is a hiking trail leading you to the top. 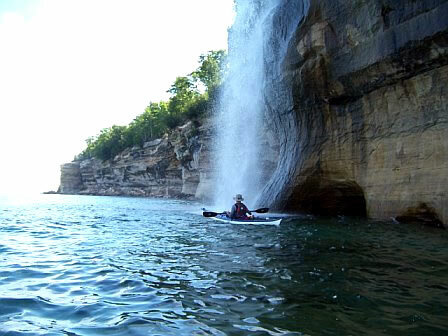 The cliffs are a sheer drop for miles surrounding Spray Falls so in order to get the best shots of the falls you need to take a cruise from Pictured Rocks Cruises or take a guided sea kayak tour with a company such as Northern Waters. 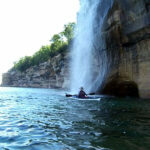 We recommend the sea kayak trip as you can get right next to the cliffs and even paddle underneath Spray Falls and let the water crash down upon you.